Everyone’s a winner in Meredith Corporation’s Koch Brothers-backed purchase of Time Inc. — you know, unless the Department of Justice blocks this one too. As of 10:47 a.m. 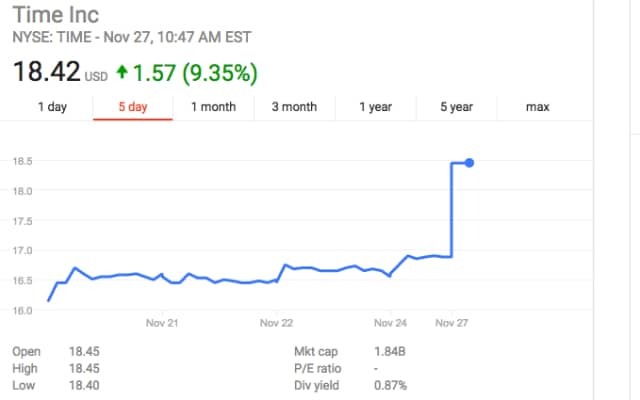 ET on Monday, shares for both publicly traded corporations were up about 10 percent on news of their deal. 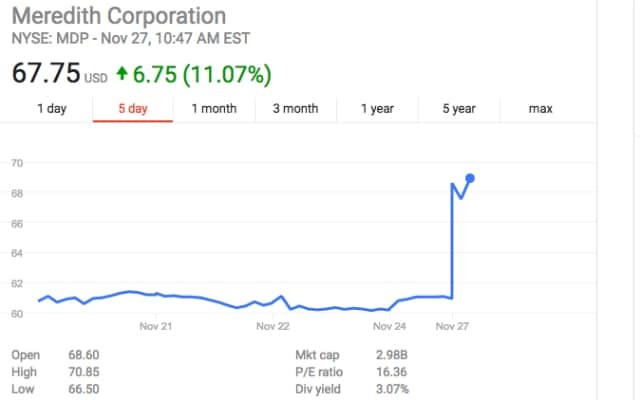 Those perfectly vertical lines represent the market’s initial reaction to the pending combination of companies. 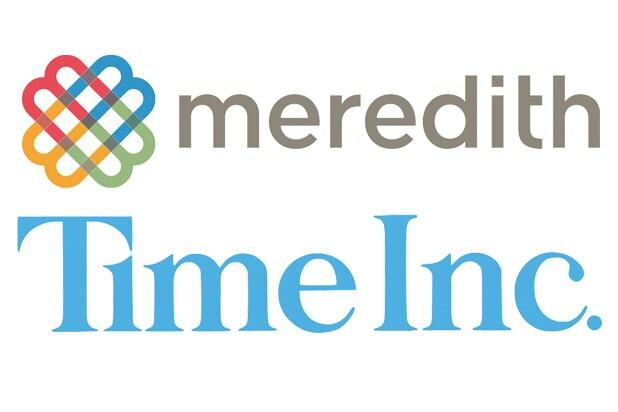 Meredith has entered into an agreement to acquire all outstanding shares of Time for $18.50 per share in an all-cash transaction valued at $2.8 billion, the Iowa-based magazine publisher announced Sunday. This isn’t the first time that Meredith has tried to purchase the publisher of Time, People and Sports Illustrated. A previous attempt in 2013 — and another one earlier this year — didn’t pan out. Meredith publishes Better Homes & Gardens and Family Circle magazines. 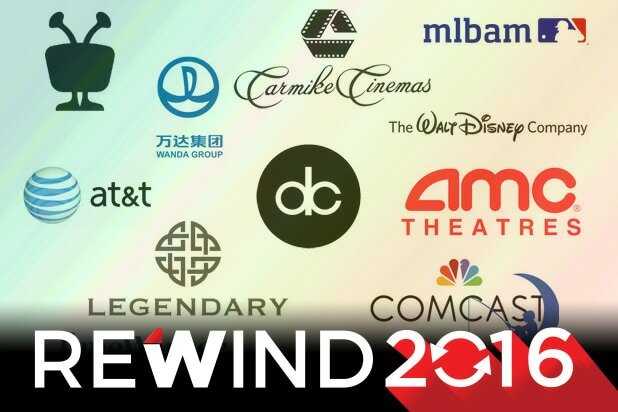 The company also owns 15 television stations and four radio stations. Though the Kochs are helping with financing, they will not get a board seat or have any say in “editorial of managerial operations,” per the terms.